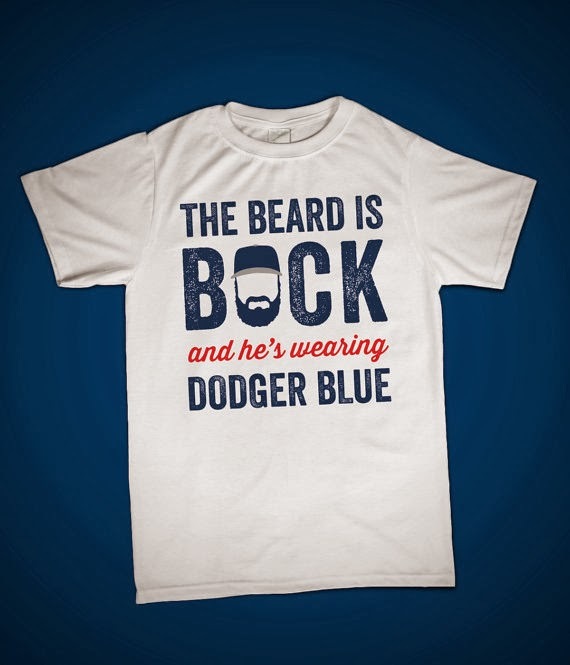 Sons of Steve Garvey: Beard Growing On Dodgers? 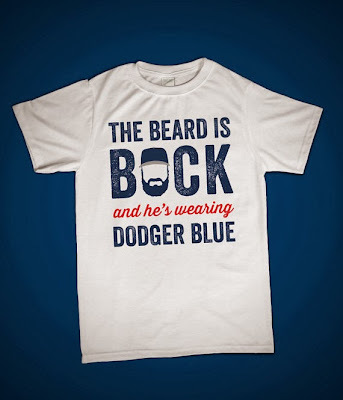 The Los Angeles Dodgers are close to bringing back free-agent reliever Brian Wilson, sources told ESPN.com on Tuesday. Wilson, the former San Francisco Giants closer, went 2-1 with a 0.66 ERA in 18 games as a setup man to Dodgers closer Kenley Jansen this past season after coming back from his second Tommy John surgery. Sources said Wilson has made it clear to the Dodgers that he's willing to return to the team as a setup man in 2014, with an opportunity to take over as closer if Jansen falters or gets hurt. A strong and deep bullpen was a significant factor in the Dodgers' run to the National League West title in 2013. Los Angeles' bullpen went 30-24 with an aggregate 3.49 ERA, while ranking seventh in the league in strikeouts (451) and fourth in batting average against (.240). After years of hating Wilson as a Giant, I have to say, he was pretty good for us late in the 2013 season, making it easier to digest seeing him in our uniform. I could be okay with him coming back, at a short-term contract (befitting all relievers). The LATimes also reports we're closing in on Wilson. Which is good, because the Detroit Free Press reports the Tigers are interested in Wilson, too. t-shirt design stolen from this etsy account. I don't understand using the face as an "A" rather than an "O", but okay. I just picked up some good discounts on Bock Friday. Tigers signed Joe Nathan, so they're out. If you flip his head over, the beard forms an A.